The Trump administration is on course to cut tribal health care funding by hundreds of millions of dollars as a result of its proposal to impose work requirements on Medicaid eligibility and is most likely breaking the law in doing so. This is wrong, illegal, and we in Congress have a responsibility to act. In addition to the morally reprehensible idea of cutting health care for millions of people who rely on Medicaid to get critical opioid addiction services, primary care, and mental health care, the administration’s plan is also a violation of multiple treaties and legal decisions. The broader policy is inhumane on its own, but applying it to tribes is also illegal. First, the administration is violating the federal trust responsibility, which requires the U.S. government to protect the health and well-being of tribes, including health care services. The federal trust responsibility originated from the dozens of different treaties the U.S. government signed with Native American tribes in exchange for land, and has been upheld in numerous court decisions handed down over the past 200 years. Imposing Medicaid work requirements on tribal citizens would cut hundreds of millions of dollars from tribal health care facilities, while increasing demand for those services at the same time. The result would be longer wait times, fewer facilities, and reduced health care. That’s a clear violation of the federal trust responsibility. The administration is claiming that tribal citizens are members of a racial group, not sovereign nations, and therefore, subject to the same cruel policy that Trump is imposing on millions of other Americans. However, tribal members are not just members of a racial group; they are sovereign nations with a government-to-government relationship with the United States that is written into the Constitution and has been upheld by more than 200 years of legal doctrine. In addition, in 1974, the Supreme Court in Morton v. Mancari affirmed that the federal government must treat tribes differently than other groups in carrying out its trust responsibility. This decision has been used and reaffirmed in every subsequent court decision. The history of our government’s treatment of Native Americans is nothing short of shameful. Through disease, war, famine, and forced relocation, our government’s actions have resulted in nearly the complete decimation of Native American populations and culture. Our government wrote ‘treaties’ that took advantage of the cultural differences between our peoples to cheat tribes out of their land and resources; we then went on to violate those treaties. 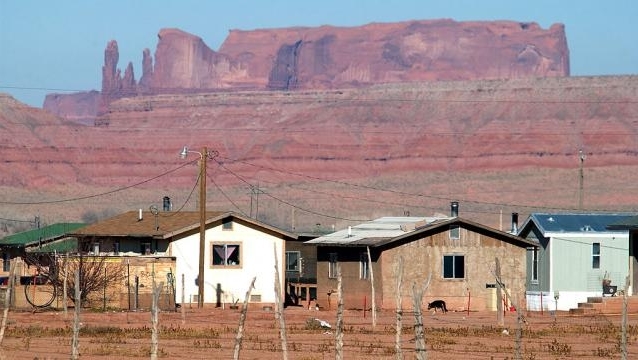 Today, tribes face staggering health disparities and unemployment rates because the U.S. government intentionally located reservations in remote, undesirable areas. Let’s not repeat history. Medicaid work requirements for tribes are not feasible, legal, or what Congress intended. A bipartisan group of members including myself have urged the administration to correct their legal interpretation. We must not allow the administration’s flawed and illegal plan to take effect. 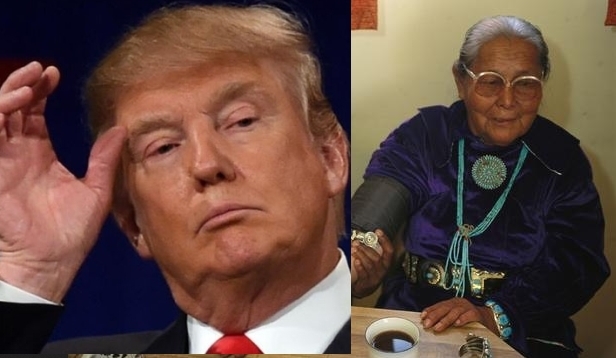 Responses to "The Trump administration’s attack on tribal health"
What happened to your platform "Making American Great again". This word applys to Native American Indian. President Trump that phrase you used is all U.S American citizens. We as Native American in the best great health insurance. As grandfather used to say "White man speak with forked tongue" . I think that applies well in this case. What he going to do the savings? You are a Congressman? So write a law that specifically concerns the Native Americans and provides their services separate from Medicare. The power to make law is a legislative branch power...not an executive branch or judicial branch power. Do your job instead of whining about the president. This is wrong, illegal, Congress has a responsibility to act. It is morally reprehensible to cut health care for millions of people who rely on Medicaid.The administration’s plan is also a violation of multiple treaties and legal decisions. The broader policy is inhumane on its own, but applying it to tribes is also illegal. Trump doesn't deserve to be the president..He's not doing a good job for uniUni States or for People.God have mercy on his Soul . We,American Indians,are America! We ate the first Americans! Keep ur promises and make America great again! Treaty obligations, health care, housing, education etc. We must continually stay on top of the actions of this president and his followers who are picking apart our laws and system of government right under our eyes and noses. Tweets distract and keep him in the news - good and bad it is news.... you cannot listen to the radio for 5 minutes without hearing his name. The person who said it it Congress who needs to act and he or she is correct, but they have not been acting which is a big part of the problem. Services should be increasing to those who need it, not reduced. Jobs are not plentiful on reservations nor in rural areas such as rural Alaska where many Native people live a subsistence life style. To connect health care to employment is just wrong and will only increase health issues not to mention being a treaty breaker.